And it was pretty…that part was true. But it wasn’t a short story. It lied. As it turned out, it was actually a 90,000-word novel set mostly in Venice, Italy, a place I had visited once for an afternoon with my family when I was 12 years old. So I guess Neil was right. Venice does call you back. 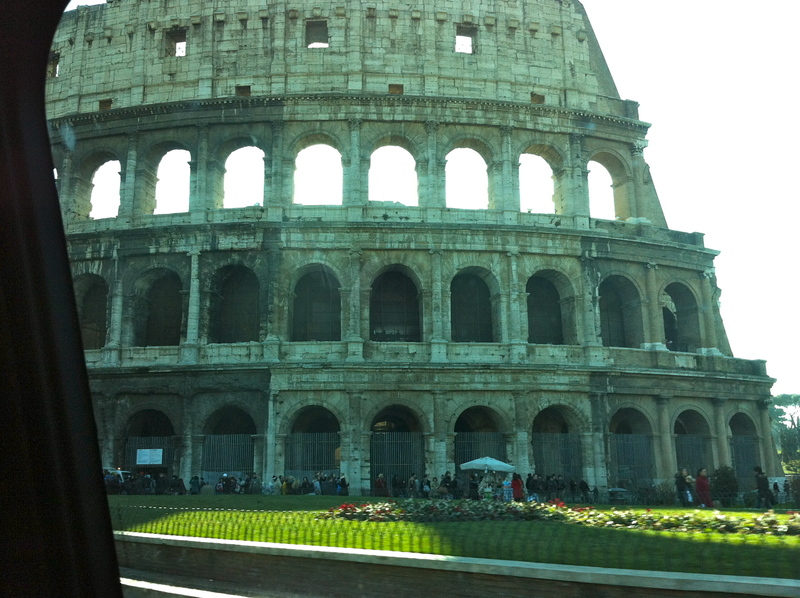 A view of the Colosseum from a speeding car. But the problem with writing a book set in an exotic place like Venice is you can’t fake it. And surely, Venice is such an important character of the story. True, I had been there before, but it was so brief and so long ago, I only had a chance to fall in love with it, not get to know it. Fat Cat pointed this out when I was writing the book. He didn’t feel I could do it justice not having spent time there. I disagreed…only because I didn’t think there was a way I was going to travel to Italy anytime soon. We had a business to run. We had a bills to pay, a child to take care of…just like everyone else. It just didn’t seem feasible. I thought I could recreate Venice through research and reading trip reports. What else could I do? Not write the book? 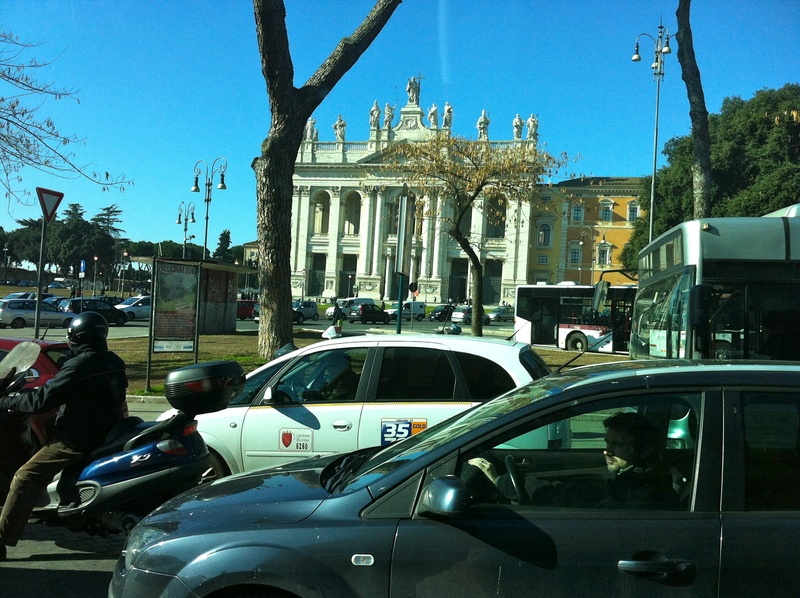 Still in a speeding car...San Giovanni Laterano! Not writing the book was not an option. So I wrote it as best I could, and I finished it. But I realized Fat Cat was right. I couldn’t do it justice without going there and experiencing it for myself. I’m not really sure how it started, this idea that I could go to Venice this year. I think it was really just me wishing out loud. But people heard me and paid attention. My awesome, amazing Mom offered to watch my little one (oh, man! do I miss her…and thank you, thank you, thank you, Mom! ); a friend offered his buddy passes from the airline he works at; I rediscovered a small account I had squirreled away ages ago (hiding money from yourself works! ); and my brother offered to come with me. An epic trip in the making. 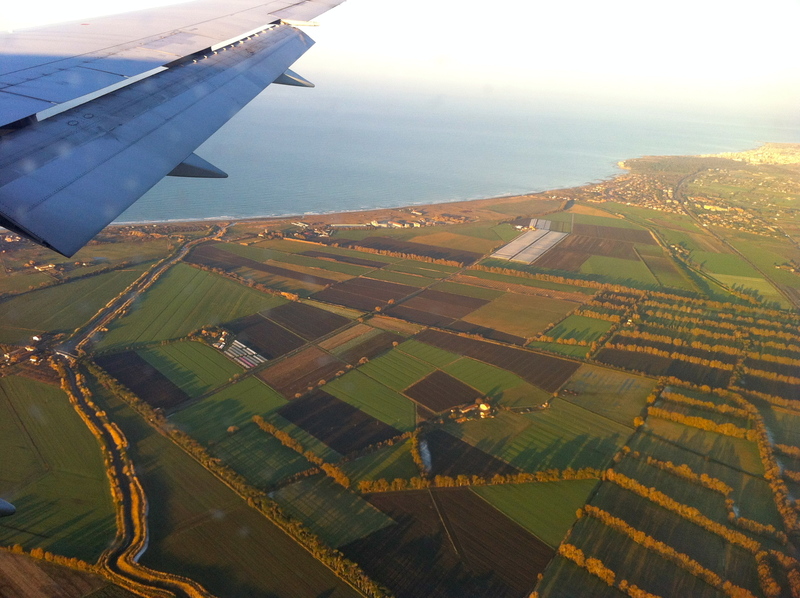 We were going to Venice! 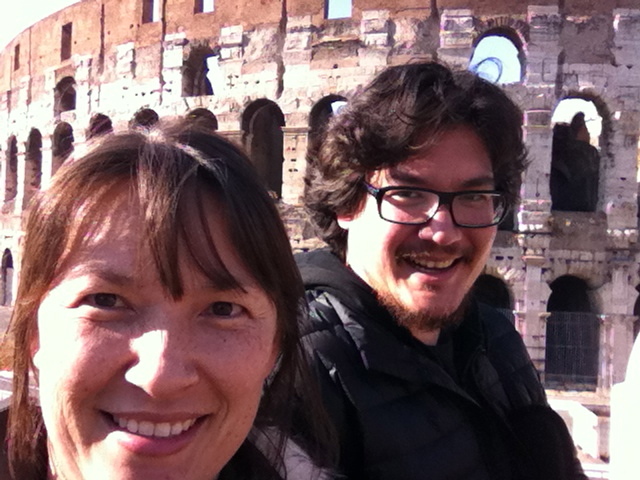 “Only…wouldn’t it be cool if we could see the Colosseum too?” my brother wondered. Angie!! 🙂 Awesome post! And I LOVE the pictures. I hope the days feel longer…Wednesday feels like it was just yesterday lol I’m excited to read what else youve been experiencing. Make sure to take pics of the market! And what are their produce like? And take pics of your apartment! (sorry, sorry, consider my exclamation marks as pleas made excitedly lol). Thank you, Marian, for always reading! I can’t wait to tell you all about it! We need to do a group trip! Firstly: Yay, blog posts again! I do love reading your writing. Secondly: So awesome you had a great time, and thank you for the many great photos (this post and others). Thirdly: (About going) Someone said something similar to me in regards to some Chinese style poems I’d written. Can’t say I haven’t though about it. How’d you get up the gumption just to go somewhere? Again, just so great to see you write again. Yay’s and squee’s.